The life of an overseas Filipino worker is often times challenging, but the life of the love ones they left behind also isn’t easy. 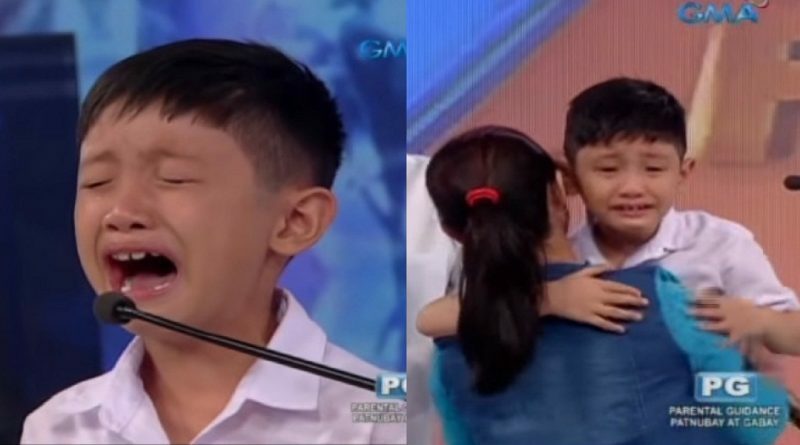 Kurt, a kid contestant on Willie Revillame’s show Wowowin, couldn’t help but express his sadness over his mother’s work. Hazel, his mom, is an OFW who is about to leave again to work in Qatar. To this, Kurt could no longer keep his emotions and cried. His mother, Hazel, was quick to give his son a hug.